The Authentic Leadership Institute: Transform yourself, your team, or your organization with proven, expert facilitation. The Institute has brought True North programs to over 5,000 corporate leaders in a wide range of industries and organizations from GE to Ben and Jerry’s. 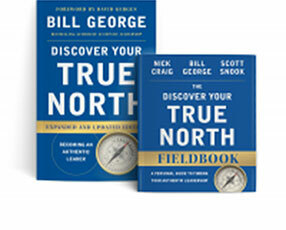 Whether you are just starting your leadership journey or leading a large organization, The Discover Your True North Fieldbook will help you find your leadership purpose, that internal Compass that provides direction and keeps you oriented—your True North. Become a leader that aligns and empowers those you work with. Create a more engaged, aligned and trusting team by awakening the authentic leader inside each team member. Transform your organizational impact by cascading Authentic Leadership throughout your organization.